Wether it’s World War 1 entertainers or WW2 singers, this is the site to come to. 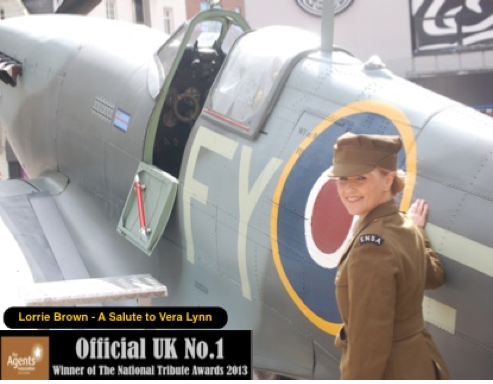 and the UK No.1 Vera Lynn tribute, Lorrie Brown. ‘If it's 1940s you want, these are the people’. the show takes you through the amazing life of the forces sweetheart. Touring theatres around the UK, with a live 7 piece band and George Formby tribute. 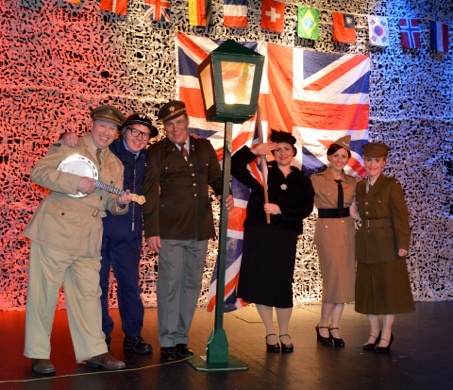 This show will transport you back to the 1940’s. 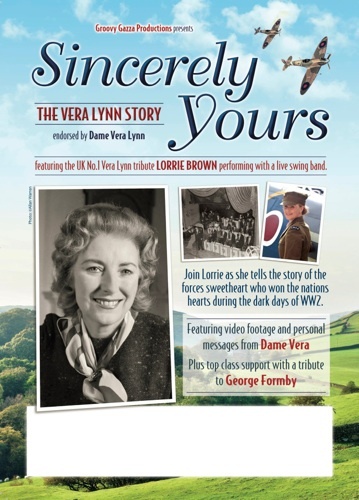 Vera Lynn portrayed by multi award winning artiste Lorrie Brown. Lorrie was invited to meet Dame Vera and congratulated on her show. of the National Tribute Awards. 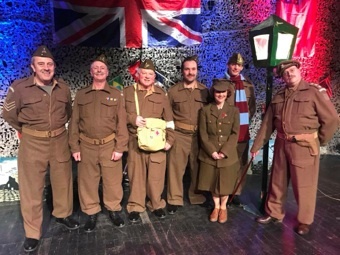 A fun 2hr theatre show featuring all the tributes seen in the original 1940’s show but held together by the characters from the home guard. 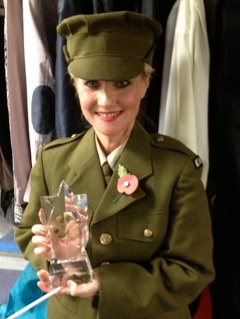 She was presented the award at the Garrick Theatre in Lichfield. 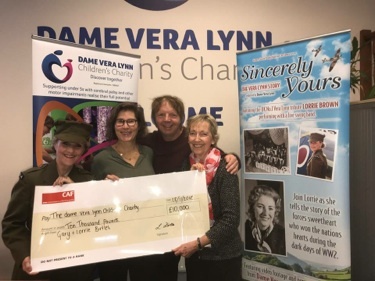 We presented the cheque to the charity last November and we were so pleased to be able to present it to Dame Vera’s daughter, Virginia and Pilar Cloud who is the charity management. Since the presentation we have been asked to become ambassadors of the charity, which of course we have accepted.